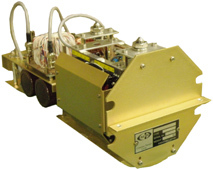 The T867-series is an amplifier to lunch and drive an ultrasonic wave transducer, designed to meet a wide range of purpose demanding for a strict system requirements undersea needing an accuracy, such as underwater probe, echo sounder, sub-bottom profiler, side scan sonar, narrow-beam sonar, etc. 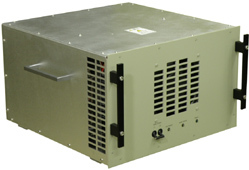 Considering it to be used underwater, the T867-series is designed to make system downsizing, enabling it to build into a small marine chamber operating it with use of battery cell power. It therefore makes it easy to build it in miniaturized ROV and AUV. For multi-channel applicable models, a phased-array system operation is also applicable. Any transducer having a variety of output impedance suitably be matched to the requirements, is available by optionally adding the a multi-tune circuit.